"You've got people out there who need you." Paramount has debuted a teaser trailer for Travis Knight's Bumblebee, a new spin-off movie from the Transformers series that's set in the 1980s. 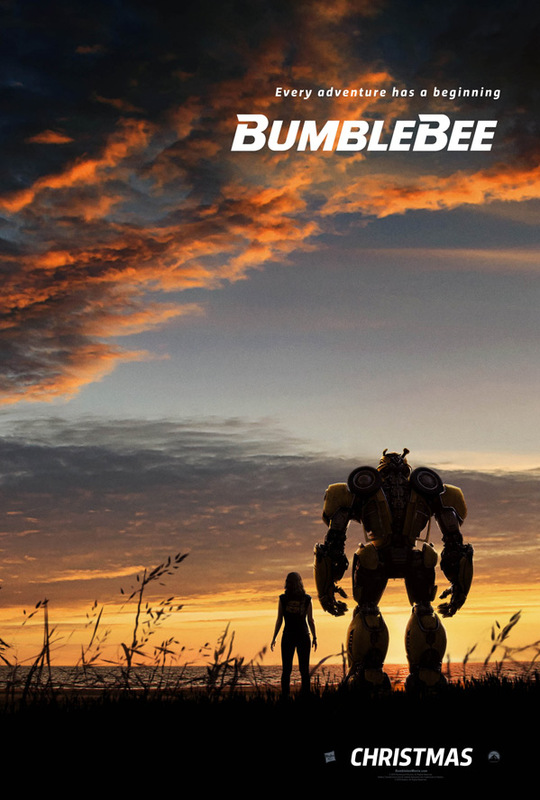 The film is about the friendship between a young woman named Charlie and Bumblebee, on the run and living in a junkyard in a small Californian beach town. Hailee Steinfeld stars as Charlie, along with John Cena, Martin Short, Pamela Adlon, Megyn Price, Kenneth Choi, and John Ortiz. This actually looks like a nice step back from Michael Bay's crazy epic Transformers movies, and it's especially nice to see someone other than Bay directing this time. Even if you are totally over the Transformers series, this is still worth a watch, it might be the best one since the very first Transformers movie. I'm more than curious now. Watch below. On the run in the year 1987, Bumblebee finds refuge inside a junkyard in a small Californian beach town. Charlie (Hailee Steinfeld), on the cusp of turning 18 and trying to find her place in the world, discovers Bumblebee, battle-scarred and broken. When Charlie revives him, she quickly learns this is no ordinary, yellow VW bug. Bumblebee is directed by American filmmaker Travis Knight, who co-founded the stop-motion studio Laika and directed their film Kubo and the Two Strings. This is his first live-action feature. The screenplay is written by Christina Hodson. Paramount will release Bumblebee in theaters everywhere starting on December 21st, just in time for Christmas later this year. First impression? Who's interested?